Getting electricity connection in a new building or a new factory is not an easy task. It not only involves endless runs to the utility company but also completing various procedures. Let us have a look at how much it costs, how many days it takes and how many procedures one has to fulfill to obtain electricity connection around the world, including India. Note: The rankings are based on cost. Cost is recorded as a percentage of the economy's income per capita. All the fees and costs associated with completing the procedures to connect a warehouse to electricity are recorded, including those related to obtaining clearances from government agencies, applying for the connection, receiving inspections of both the site and the internal wiring, purchasing material, getting the actual connection works and paying a security deposit. A procedure is defined as any interaction of the company's employees or its main electrician or electrical engineer (that is, the one who may have done the internal wiring) with external parties such as the electricity distribution utility, electricity supply utilities, government agencies, electrical contractors and electrical firms. Time is recorded in calendar days. The measure captures the median duration that the electricity utility and experts indicate is necessary in practice, rather than required by law, to complete a procedure with minimum follow-up and no extra payments. 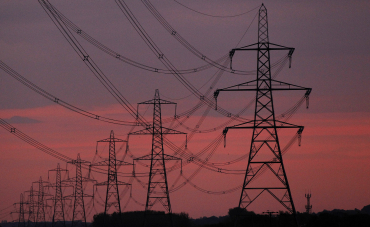 Image: The sun rises behind electricity pylons near Chester, northern England. 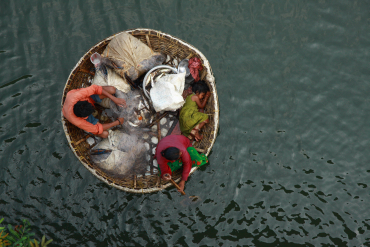 Image: A fisherman arranges a fishing net as his wife paddles their boat in the waters of the Periyar River on the outskirts of Kochi, Kerala. 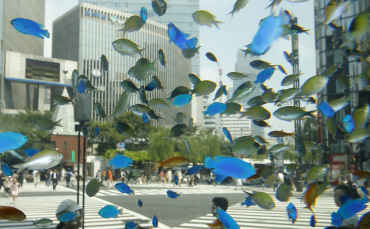 Image: Tropical fish swim in an aquarium in Tokyo's Ginza shopping district. 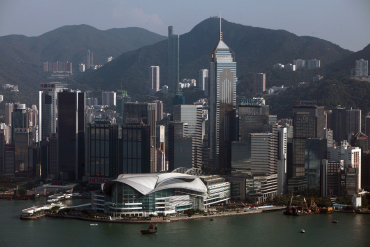 Image: A view of Hong Kong's financial district. 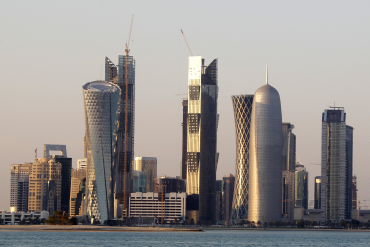 Image: Sun reflects off the glass and steel buildings on the Doha skyline. 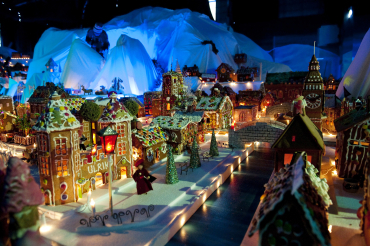 Image: A gingerbread town, consisting of buildings, boats, bridges and other structures, is seen in Bergen, Norway. 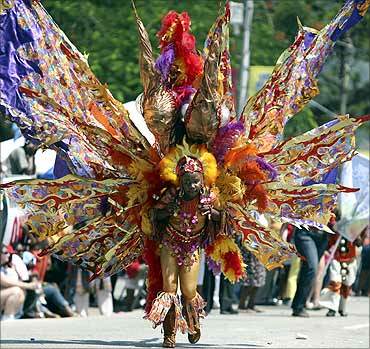 Image: A reveller participates in the National Junior Parade in Port of Spain, Trinidad and Tobago. 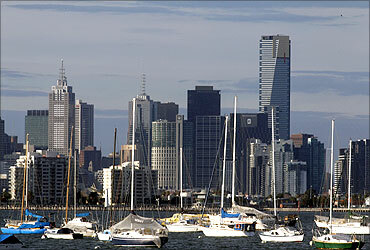 Image: Sailboats and yachts are seen in front of the Melbourne skyline. 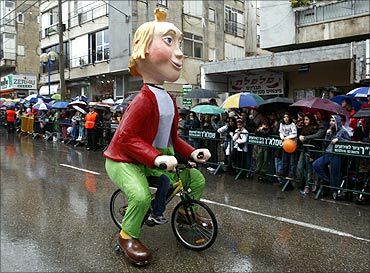 Image: People watch a parade celebrating the Jewish holiday of Purim in Holon, near Tel Aviv. 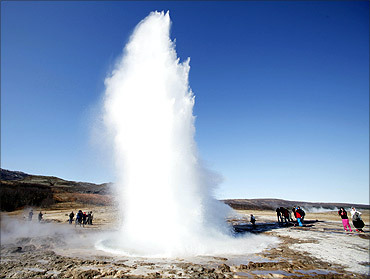 Image: People look at a geyser in Geysir, Iceland. 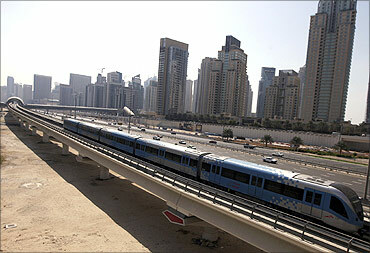 Image: A Metro runs past Sheikh Zayed Road in Dubai. 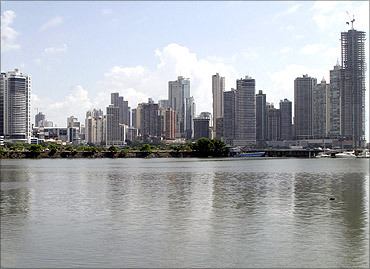 Image: A view of high rise buildings in Panama City. 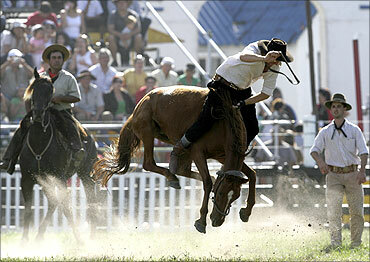 Image: A Uruguayan gaucho rides a wild horse in Montevideo. 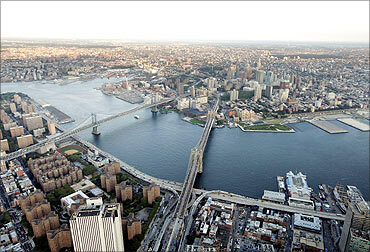 Image: Brooklyn Bridge, right, and Manhattan Bridge, left, span the East River in Manhattan. 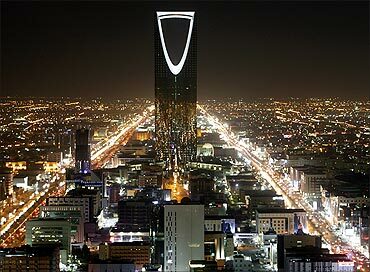 Image: A view of the Kingdom Tower in Riyadh. 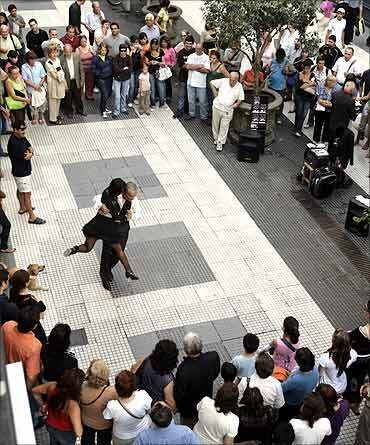 Image: Tango dancers perform in a street in Buenos Aires. 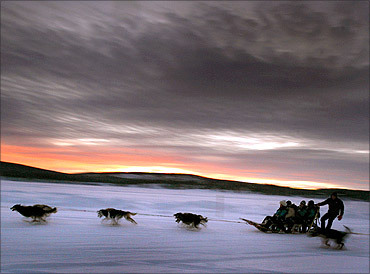 Image: A dogsled team carries tourists in northern Sweden. 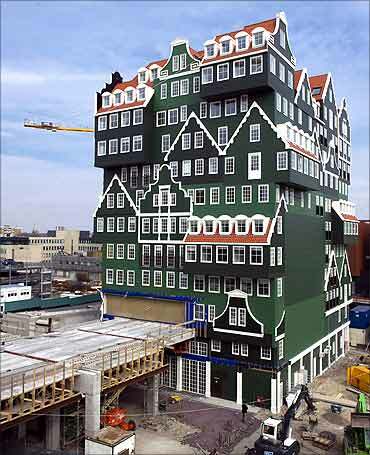 Image: A hotel made to look like 70 Zaanse houses stacked together in the centre of Zaandam, north of Amsterdam. 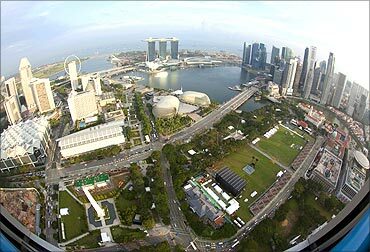 Image: An aerial view of Marina Bay and Singapore's central business district. 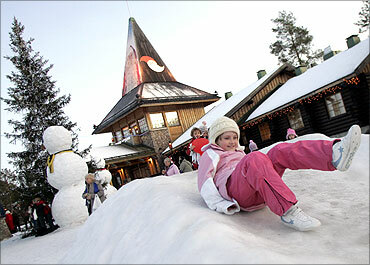 Image: A child slides in front of the Santa Claus Office in Santa Claus Village on the Arctic Circle near Rovaniemi, Finland. 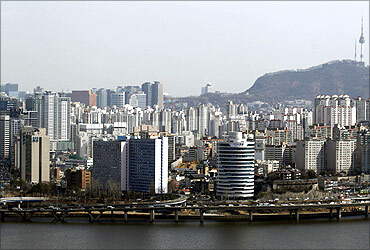 Image: A general view shows part of central Seoul. 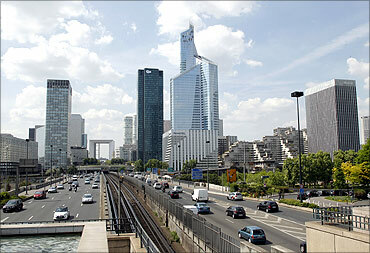 Image: France's tallest skyscraper is seen in the business district of La Defence near Paris. 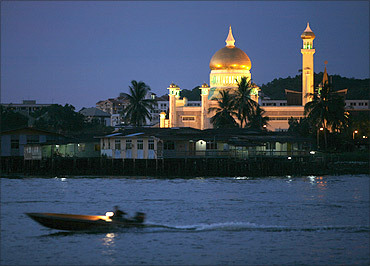 Image: A water taxi in Bandar Seri Begawan. 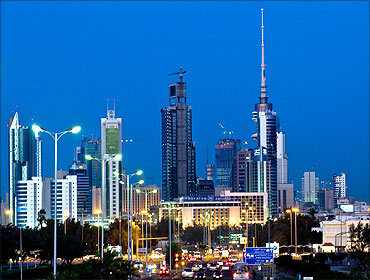 Image: A night view of Kuwait City. 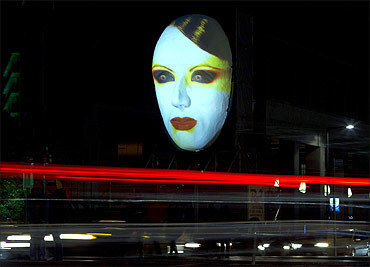 Image: Cars travel past the 'Faces of Berlin' light installation during the Festival of Lights in Berlin. 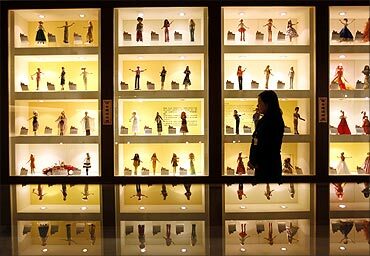 Image: A curator walks past displays of Barbie dolls at the Doll Industry Museum in Taishan, Taipei County. 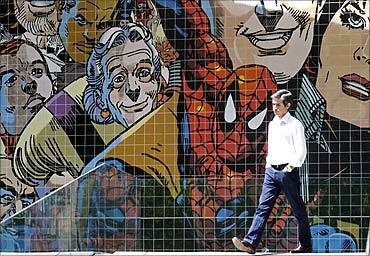 Image: A man walks past a wall decorated with with comics characters on a street in Lisbon. 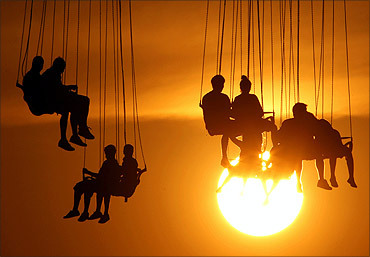 Image: Youngsters enjoy a ride on a circular moving swing in an Athens amusement park at sunset. 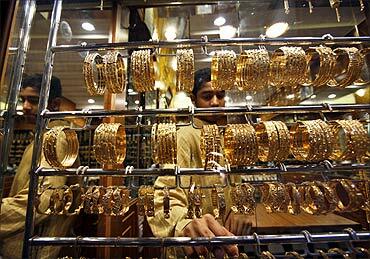 Image: A youth arranges the jewellery in a gold shop in Mattrah Souq, the oldest market in Oman. 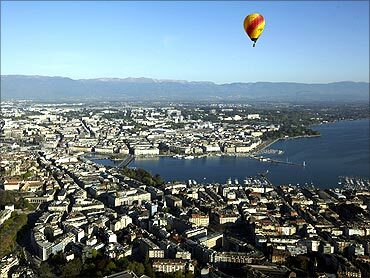 Image: A hot air balloon flies above the city of Geneva.